Restore the beauty and function of your smile! Dental implants are a long-lasting and beautiful solution for missing teeth. At our Huntersville dentists’ office, they have become our first choice for replacing missing teeth. Why? When a tooth is missing, the underlying bone that supported the tooth is lost too. A dental implant replaces the missing tooth root by integrating with the bone. This gives it the advantage of being able to strengthen and stabilize the bone, something that other dental restorations cannot do. Post – This titanium root replacement is extremely strong and lightweight. Abutment – Securely fastens the crown and post. Crown – A beautiful custom-made restoration that will blend in beautifully with your natural teeth. Why you will love dental implants! Here are just a few of the benefits that make dental implants the best option for missing teeth. The implant is topped with a custom-colored and designed porcelain crown that will look and feel like your own tooth. Go ahead… smile! 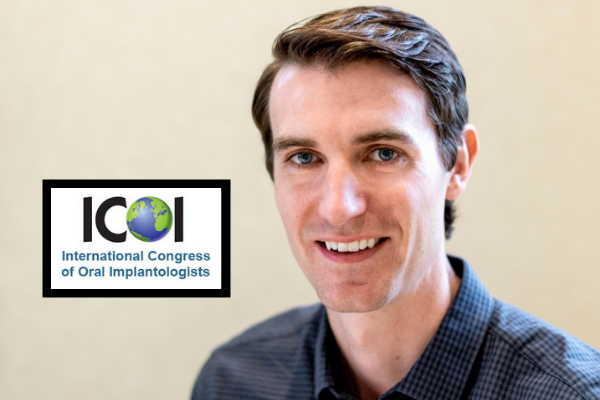 We complete the entire implant process from start to finish right here in our office, saving you the expense of seeing other providers! Dental implants are made of durable materials that with the proper care, will last a lifetime. Have you been avoiding certain foods? Eat all those hard-to-chew foods you’ve been missing! Many people are embarrassed because of their missing teeth. Implants let you laugh and smile with confidence again! Implants improve the health of your bones and gums, protecting you from further tooth loss. Why Choose NorthStar Dentistry for Adults? We love being able to offer our patients a dental solution that we know will truly help them. Dental implants allow us to provide patients who’ve had a history of bad dental experiences an alternative to failing and uncomfortable dental work. We work with industry leaders when it comes to implant technology and innovation. This allows us to continue to provide excellent results with faster healing times for our patients. Also, we can offer our patients the convenience of being able to complete their implant treatment – both surgical and restorative – right here in our office. There’s no need for the added expense and time to go to an outside provider. Our friendly and supportive team will hold your hand through the entire process! Will dental implant treatment be painful? All work is done with anesthetics and in some cases sedation techniques so patients do not have to feel or experience any discomfort through treatment. Patients can expect relatively short appointments with no procedure or healing discomfort following dental implant therapy. Most patients finish the process telling us that it has been one of the more comfortable dental experiences they’ve been through. How long does treatment with dental implants take? The process has shortened considerably because implants and materials continue to improve since their first introduction decades ago. Dental implants for most of our Huntersville patients will have shorter treatment appointments than they have experienced in the past for dental work such as crowns and root canals. Is a bone graft necessary to place the implant? How many teeth are being implanted? Generally, the actual placement of the implant post takes just one office visit. Time is needed for this to heal and integrate with the bone. This process can take a few months. 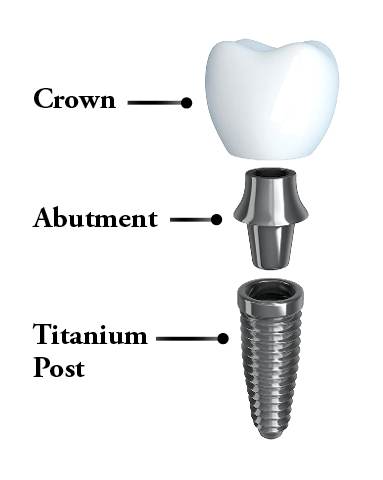 Once the healing is complete, the abutment is placed, and soon after that, the implant is finished off with a crown. Today, the implant process has become much more affordable for patients as it has become our first choice when it comes to replacing missing teeth. Also, providing the implant therapy start to finish in one office helps us to reduce the overall cost for patients. In some cases, the implant could have similar prices to other tooth replacement options. A sufficient and healthy jawbone to support the implant. If not available, a bone graft may be necessary. Dr. Bunn and his team will be happy to help you determine if dental implants are the right option for you. Dental implants in Huntersville, NC can restore what's been missing from your smile. Call us today!